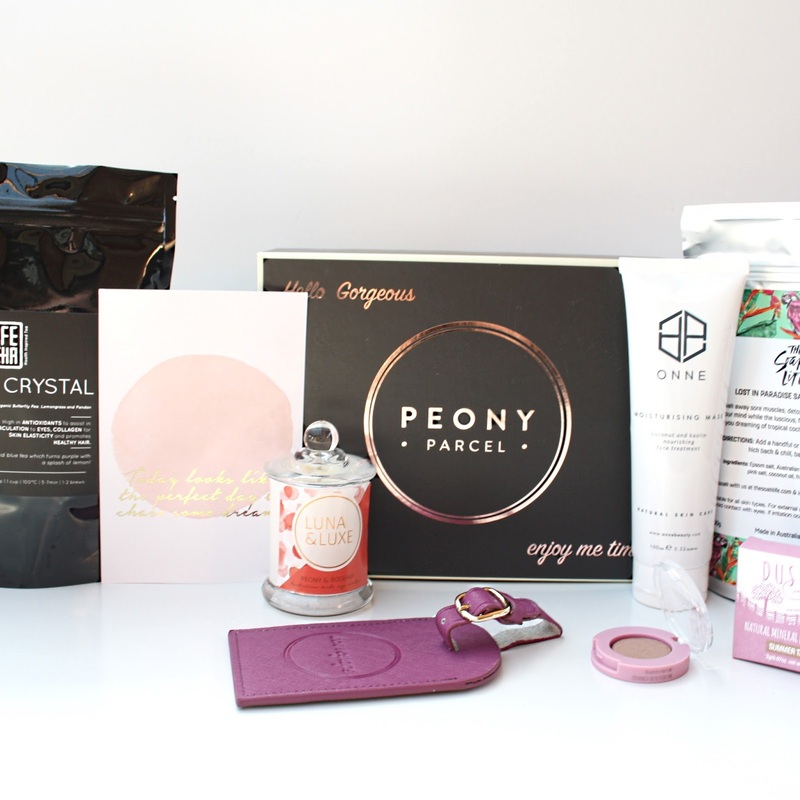 Peony Parcel is Australia's newest subscription service which delivers a bi-monthly parcel containing a selection of products from emerging premium Australian brands. 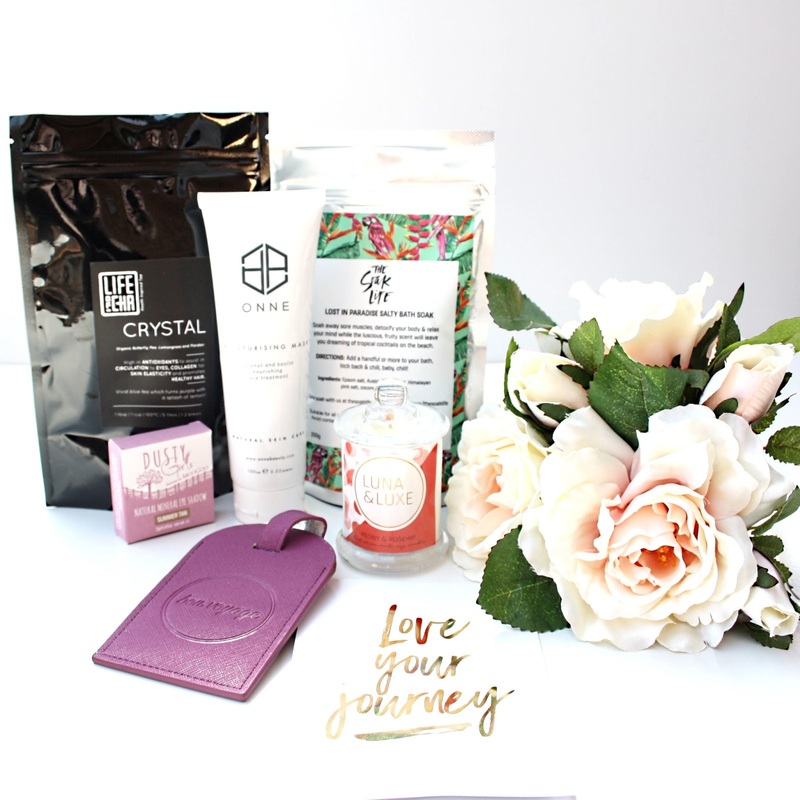 The bi-monthly parcel includes 3-5 full-size and travel size beauty, bath, lifestyle and wellness products all designed to help you enjoy some 'me' time. I was lucky enough to receive the 'Wanderlust' edition from Peony Parcel and wanted to share what was included. November's box has a value of over $100 but only costs $59.95 with FREE shipping! The products arrive in a reusable black box with rose gold lettering, and are gorgeously wrapped like a present to yourself (with a ribbon!). Using the nourishing properties of coconut and the deep cleansing core ingredient kaolin, this leave on wash off mask is a quick and easy answer to a toned, tightened, and transformed complexion. This is my first experience with this brand, but I have seen them around on Instagram, so when I saw this I was excited to try it out (full size as well!). This mask contains great natural anti-irritating ingredients that will nourish and balance your skin beautifully. The mask comes as a creamy paste that will dry on the skin, but won't leave your skin feeling like it is going to crack off (unlike most clay masks). You can feel the kaolin and bentonite clays included really going to work on your skin to remove pore debris, which is cool. It feels cooling and soothing on my skin, and I love that I am feeding my skin such natural ingredients. This mask is a winner! Natural, vegan and cruelty free, this delicious tropical scent is a blend of mango, coconut and tangerine blended with tiare flower and hibiscus on a sweet vanilla base with a mix of Australian sea salt, Epsom salt, Himalayan salt, and coconut oil to create the perfect soak. I adore this soak. I have recently posted a full review on this exact product on my site, which you can find here. Long story short, I love this stuff! 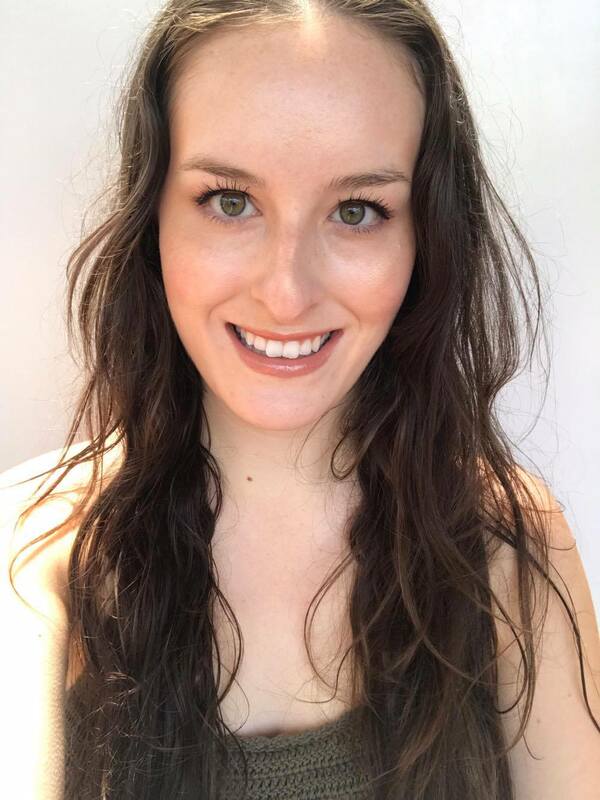 Using her background in naturopathy and training in aromatherapy, the founder of Luna and Luxe has developed a range of handmade candles which are beautiful and luxurious, as well as non-toxic and socially conscious. The packaging of this candle is stunning! I love the scent of this one and love how it lightly scents the room even before lighting it. Soy candles are my favourite and I will be checking out this brand more as these candles would make great gifts! This is an organic blue tea that changes colour! Fragrant butterfly pea, lemongrass and pandas, the natural blue hue comes from the butterfly pea flower however when an acidic ingredient such as lemon , honey etc is added to the tea, it magically transforms into a vivid purple colour! This is definitely the prettiest tea I have ever seen! I mean, blue/purple tea?! This tea is high in antioxidants to assist in circulation to eyes, collagen for skin elasticity and promoting healthy hair. This is a tea for those that are looking for a drink to boost their inner and outer beauty at the same time! The gold foiled inspirational card set included in this Peony Parcel can be framed as wall décor, placed into journals, or turned into a postcard or greeting card. I am obsessed with these mini motivational quote prints! I need to get some larger ones for my walls. I think I will frame these mini ones and place in a bookcase or on a desk. Natural mineral eye shadow in a warm and slightly frosted shade of taupe that creates depth and subtly contours the lids. Infused with a light reflecting shimmer to enhance your eye shade and colour. I was most excited about this eyeshadow in this box, as I have tried a few Dusty Girls products and loved them! This eyeshadow is strongly pigmented for a natural shadow and has the most gorgeous subtle shimmer. This shade would suit most people and I have to say that taupe colours are some of my most worn eyeshadows. This is such a wearable shade for everyday, but could also be worn with more intensity of a night-time! A genuine leather tag in a gorgeous purple hue for your travels near or far. This 'bon voyage' tag is so cute and is going straight on my suitcase ready for my next trip. I love the travel theme of this box and the way it provides you with everything you could need to create an at-home spa day or simply a little break to rest and relax. Another thing I adore about Peony Parcel is that each month they donate 10% of their profits to a charity. This month they are donating their profits to BeyondBlue. I am blown away by the quality of Peony Parcel and the way it has exposed me to great (previously unknown) to me Australian brands. I love and would recommend Peony Parcel to anyone. Use code WANDERLUST10 for 10% off your first box! Head to Peony Parcel's website here.